"Why should we be mindful? The Four Foundations of Mindfulness are a device that stops evil, stops bad deeds, stops defilement. 'Sati nivaranam settham' – Mindfulness is an exceptional preventer (of evil states). During the time when we are mindful, evil won't enter in to reach our hearts. We will have pure hearts always. "It is like dark and shining light. Mindfulness is a shining light; all defilements, all evil states, are like darkness. When the bright light shines, the darkness disappears. For this reason, we should be mindful at all times – our mind will be bright, clean and peaceful all of the time." Venerable Ajaan Tong Sirimangalo was born "Tongkaew Brahmasena" on September 21, 1923, in Ban Na Kaeng, Ban Ann Commune, Hod District, Chiang Mai Province, Thailand. He descends from an aristocratic family in the times of King Vajiravudh (Rama VI) of Thailand. His great grandfather was Phraya Bibidhasena (Cheun Brahmasena). His great grandmother was Khun Ying Bibidhasena. The last name "Brahmasena" was given to Phraya Bibidhasena by the king as he was a palace soldier with the responsibility of guarding the king. Ajaan Tong's grandfather, whose name was Khuntangjai, was the son of Phraya Bibidhasena. Khuntangjai's hometown was Kokpeep District, Prachinburi Province. He went by boat on an official business trip to the north, where he met his life partner, Ajaan Tong's grandmother Janta, at Ban Na Kaeng, Ban Ann Commune, Hod District, Chiang Mai Province. Ajaan Tong's father was Ta Brahmasena and mother was Tam Brahmasena. His parents had altogether six children, with Ajaan Tong as the fifth child. As a child, Ajaan Tong received care, attention and warmth from his family. He was very close to his mother, and was very hard-working with all the various kinds of chores. He never minded even the job of sharpening the cleaning stick for his mother and thus was always receiving praise from her, which pleased him very much. This was when he was around seven years old. During his childhood, he almost lost his life several times. When he was around three years old, his mother took him to a river bank to take a bath. Ajaan Tong fell into the river, but his mother was able to save him. Then when he was around four years old, his father took him along with his siblings on a boat ride to go buy a house at Ban Hang Dang. His father left them on the boat while he himself went up to ask about buying the house. His elder siblings decided to go play in the river. One of them called for Ajaan Tong to jump in. Although he didn't know how to swim, with the innocence of a child, he jumped in anyway. He almost drowned, but his siblings were able to help him. When their father found out, he scolded them for not looking after their youngest brother. Ajaan Tong felt sorry for them, so he told his father he didn't fall into the river. At another time, there was an incident where Mae Jam River meets Ping River (present day Wat Sanku). Ajaan Tong went on a boat ride with his father. He saw that the water below was murky, and so, thinking that it was shallow, he jumped down at the bow in order to go climb up at the stern. Apparently the water was deep, so he almost drowned. Fortunately, the boatman jumped in after him and helped him back up. Since childhood, Ajaan Tong was someone who was attracted to the monkhood. When he was around six or seven years old, he dreamed he saw a Buddha image smiling at him. While he was lying on his bed, he felt his body was amazingly floating up and down. Since that time onwards, his heart was always fond of monks. Even when he played, he liked to pretend he was a monk, by taking his mother's clothing and using it to dress himself up like a monk. When he was around nine years old, his mother passed away. His life changed at this point. He had to go live with a young aunt, who had him help her with everything, from cooking to raising buffaloes. This prevented him from going running around with other children his age. One year later, his elder brother came to take him back home, where he was able to enjoy his childhood more. Ajaan Tong had a kind-hearted disposition since he was small, and he never liked seeing anyone being mistreated, including animals. He liked going to temples, especially Wat Na Kaeng, which was near his house. Since he often went there to play around, the abbot, Phra Krueba Jayawong, came to know him well. Phra Krueba Jayawong saw that Ajaan Tong could chant the recollections of the Buddha, and that there was a possibility that he might come and stay in the Buddhist religion, so he asked Ajaan Tong to come and live in the temple. This was the beginning of his entrance into the Buddhist religion. On January 19, 1934, at the age of eleven, Ajaan Tong became a novice with Phra Krueba Jayawong as preceptor at Wat Na Kaeng in Ban Ann Commune, Hod District, Chiang Mai Province. When he was newly ordained as a novice, he had the opportunity to become a Dhamma student at Wat Wungloong in Hod District. In order to get there, Ajaan Tong had to walk some and run some, for a total distance of nine kilometers. Although in those days the roads weren't yet well-built, but as a result of his diligence and persistence, Ajaan Tong had patiently always tried to search for knowledge, without giving in to obstacles that came his way. Since childhood, Ajaan Tong had always been grateful to his teachers. While a novice, Ajaan Tong had the opportunity to help in building the road up to Doi Suthep with Tan Phra Krueba Srivichai. After the road was finished, Tan Phra Krueba Srivichai took all the monks and novices to stay at Wat Phra Singh Voravihara. Ajaan Tong had the opportunity to be of service and to be close to Tan Phra Krueba Srivichai, so Ajaan Tong had always received loving-kindness from him. Sometimes he would receive such things as robes, money and plums. When Tan Phra Krueba Srivichai became sick at Wat Ban Pang in Li District, Lamphun Province, Ajaan Tong was the one with the chance to attend to him closely, with much concern, respect and love. When he became eighteen years of age, Ajaan Tong went out in search for knowledge that would arise from practice, by going on tudong to Wat Palad in Mae Ngood and to the cemetery at Wat Na Kaeng. Ajaan Tong also had gone on tudong with Luang Pu Krueba Brahma of Wat Phra Buddhapada Takpa at Pa Sang District, Lamphun Province. Luang Pu Krueba Brahma was another senior monk very much respected and loved by Ajaan Tong, who would always try to find the opportunity to go attend upon him. After obtaining a master's degree in Dhamma studies (nak tum toh) in 1943 from Wat Jaya Phra Kied Institution for Studies in Muang District, Chiang Mai Province, Ajaan Tong ordained as a monk on February 7, 1944, at Wat Ban Ann in Hod District, Chiang Mai Province, with Phra Krue Gambhiradhamma Brahmapañño, the abbot of Wat Jaya Phra Kied, as preceptor. He received the Pali name "Sirimangalo." In that same year Ajaan Tong received a doctor's degree in Dhamma studies (nak tum ek) from Wat Ban Oan Institution for Studies, in Muang District, Chiang Mai Province. After becoming a monk, Ajaan Tong stayed for a while at Wat Jaya Phra Kied. During that time, in 1947, Ajaan Tong received trust from Phra Krue Gambhiradhamma to take over the position of Phra Palad Thananukrom. Ajaan Tong was always given important responsibilities in the Buddhist religion, so the faith committee from Wat Muang Mang came to invite him to become Abbot of Wat Muang Mang, since the previous abbot has passed away. Ajaan Tong then was appointed abbot of Wat Muang Mang in Haiya Commune, Muang District, Chiang Mai Province, in the year 1948. At the same time, he held the position of Secretary to the Ecclesiastical Head of Hod District. Because of his strict practice and earnestness in his Dhamma studies, the teachings of the Lord Buddha, in order to follow in the footsteps of the Lord Buddha of great infinite compassion, in 1952 Ajaan Tong was chosen by Tan Chao Khun Phra Dhammarajanuvatara (Phra Krue Attajivo) of Wat Phra Singh Voravihara to be the representative of the Sangha in North Thailand to go learn about the practice of vipassana meditation in accordance with the four foundations of mindfulness at Wat Mahathat Yuwarat Rangsarit ("Wat Mahathat") for one year. Ajaan Tong was the only monk chosen in the whole of northern Thailand. In those days transportation between Chiang Mai and Bangkok wasn't so convenient as it is today. As it was far, it wasn't a small matter to travel to Bangkok, being comparable to traveling abroad. During his studies at Wat Mahathat, Ajaan Tong received hospitality from Tan Phra Krue Prakardsamadhiguna who allowed him to stay in his faculty. Ajaan Tong often recollected his kindness. Whenever there was an opportunity, Ajaan Tong would always go visit him or would invite him to special occasions, until he had passed away. After Ajaan Tong finished his studies at Wat Mahathat in 1953, he received support to go study the theory (pariyatti) behind the practice (patipatti) and to search for evidence in walking meditation 6 stages in Myanmar for seven days, in India for ten days, and then back to Myanmar for two years to research the Tipitaka for information on walking meditation and the practice of vipassana meditation in accordance with the four foundations of mindfulness. During that time, he fist stayed at Kamma-e Temple and then moved to Payajeejongtai (Chaotadjee) Temple. Before returning to Thailand, Ajaan Tong had the chance to study about the practice of vipassana meditation at Sasanayika with Venerable Mahasi Sayadaw Bhaddantasobhana Mahathera for one month. With his great aspiration to spread the task of vipassana development (vipassana-dhura) aspect of Buddhism so that it may enter into the hearts of all human beings, once Ajaan Tong returned to Wat Muang Mang, he initiated the establishment of a center for training in the practice of vipassana meditation in accordance with the four foundations of mindfulness, the first in Chiang Mai, at Wat Muang Mang in the year 1954. Ajaan Tong arranged for the construction of meditation kutis within the temple area; and using the knowledge and ability he had gained, he started the training and guidance in the stages of the correct practice of vipassana meditation to lay the foundation for those who came in to study and practice, which turned out successful. In addition he also initiated the construction of a library at Wat Muang Mang in the year 1957 to give those interested in both the study (pariyatti) and the practice (patipatti) a chance to study and search for knowledge in a wide range of subjects. And in the year 1964, Ajaan Tong initiated the establishment of an institution for Abhidhamma studies, which was the first in Chiang Mai, at Wat Muang Mang. He invited monks who had the qualifications in Abhidhamma knowledge from Wat Rakang Kositarama in Thonburi and from Wat Mahathat in Phra Nakorn to be in charge of the theoretical teachings. As for Ajaan Tong, he fully dedicated himself to teaching the practice of vipassana meditation. In the year 1964, Ajaan Tong led the way for the construction of temples in Hod District. In 1966, he was appointed Vice Ecclesiastical Head of Hod District and was at the same time Acting Ecclesiastical Head of Hod District. In the following year, Ajaan Tong was appointed Ecclesiastical Head of Hod District. In 1967, Ajaan Tong initiated the establishment of a unit for mind development at Wat Muang Mang and also of a center for the practice of vipassana meditation at Song Thum Tong Center in Ban Pae Commune, Chom Tong District, Chiang Mai Province. In 1968, he received the rank "Phra Krue Bibadhanaganabhipala," Second Rank Ecclesiastical Head of District, and he also became a preceptor. In 1969, Ajaan Tong established a center for the study of the Dhamma, Pali and the Abhidhamma at Wat Muang Mang. In 1972, he opened a school to teach the theoretical parts of the Dhamma at Wat Intaram in Hod District, Chiang Mai Province. The number of meditators who came to practice with Ajaan Tong increased to the point where there wasn't enough space at Wat Muang Mang to build more meditation kutis to accommodate them all, so Ajaan Tong went in search of a new place that would be more suitable. He eventually found Wat Ram Poeng, which was at the time an abandoned temple in Suthep Commune, Muang District, Chiang Mai Province. It was an ancient temple with a history of more than 500 years. Since 1973, Ajaan Tong started renovating and repairing Wat Ram Poeng in order to establish a center for the practice of vipassana meditation there. He renovated the Uposatha Hall, the Vihara and the Chedi, as well as constructed Sala Karn Plien, meditation kutis and roads to enter the temple. During the renovation in the year 1974, Ajaan Tong was appointed acting abbot of Wat Ram Poeng. In 1975, he was promoted with the rank Phra Krue First Rank Ecclesiastical Head of District. His ability and firm aspiration to teach led to a great number of people with faith and reverence who came to practice vipassana meditation with him. Thus, he had to expand the boundaries of the Vipassana Meditation Center of Wat Ram Poeng, by buying land and building more meditation kutis. But it still was not enough. Ajaan Tong then decided to construct branches for the center at various places all around Thailand. At present there are more than fifty branch vipassana meditation centers in various provinces around Thailand, such as Lamphun, Lampang, Chiang Rai and Phayao in North Thailand; Nakhon Nayok, Nakhon Pathom, Prachuap Khiri Khan and Kanchanaburi in Central Thailand; Surat Thani in South Thailand; and Prachinburi in East Thailand. IN 1983, he was promoted with the rank Phra Krue Special Rank Ecclesiastical Head of District. In 1988, he was appointed abbot of Wat Ram Poeng. In 1989, Ajaan Tong received trust from the Vipassana-Dhura Division of Wat Mahathat to be the teacher and interviewer to meditators in the Great Vipassana Meditation Center at Wat Mahathat for w months from November to December. In the same year, he was appointed Head Vipassana Teacher of Region 5 by the Vipassana-Dhura Division of Thailand. 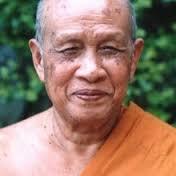 He was given the power and responsibility for the administrative work of the Vipassana-Dhura Division of Thailand. His administrative work quickly proved successful that in 1990 he was appointed Head Vipassana Teacher of Region 7. In the same year he was promoted with the rank "Phra Subrahmayanathera." In 1991, he was asked by Somdet Phra Ñanasamvara, the Supreme Patriarch of Thailand, to take the position of abbot of Wat Phradhatu Sri Chom Tong Voravihara in Ban Luang Commune, Chom Tong District, Chiang Mai Province. His followers were crying as they didn't want him to leave. Ajaan Tong thought about his teachers and how not listening to the leader of the Sangha might be a cause for the decline of the religion, and so in the end he agreed to go. At Wat Phradhatu Sri Chom Tong Voravihara, he revived and supported the practice of vipassana meditation as well, by initiating the construction of a vipassana meditation center and more than 100 meditation kutis, a meditation center office, and interview rooms. In 1999, the Venerable Ajaan was promoted to “Phra Rajabrahmacariya”; in 2005 he was promoted again to “Phra Tepsiddhacariya”, and in 2009 he was promoted to “Phra Dhammamangalajaan”. The most venerable ajaan is presently residing at Wat Chom Tong. I am really lucky and grateful to have given such a good opportunity to meet up with the master in wat chom tong on 4 sep 2015 1130hrs. I would start practicing mindfulness with his way of teaching. Pingback: My Silent Journey begins, | Pray that the journey will last long. Κ. ΚΑΒΑΦΗΣ.